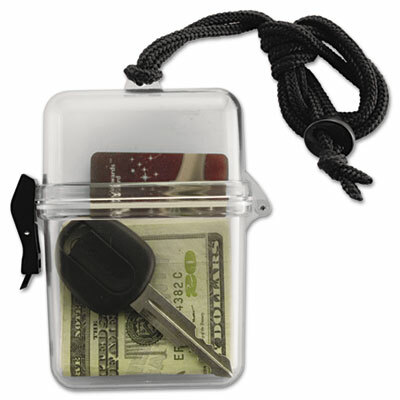 Keep your ID and other small valuables dry and safe. Includes black 38" cord for easy carrying. Keep your ID and other small valuables dry and safe. Includes black cord for easy carrying.